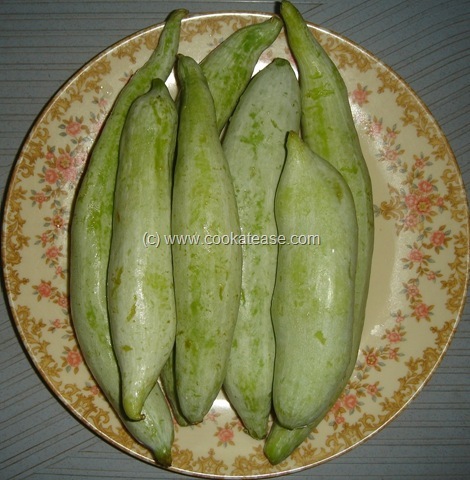 Snake Gourd (Pudalankai in Tamil) is a commonly available vegetable. Pudalankai Kootu is simple to prepare and goes well with Rice, Chappati, Bread. Chop garlic, tomato; wash and boil Bengal gram dal with turmeric powder, chopped garlic, tomato and few drops of oil in a pressure cooker till dal is soft. 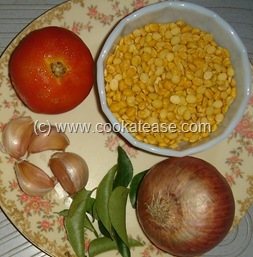 Chop onion and snake gourd nicely and keep aside. Fry items given for wet grinding with few drops of oil in a pan; cool and grind it with some water to a paste. 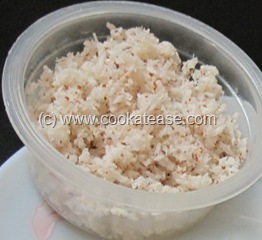 Heat a pan with oil and do the seasoning; add chopped onion and fry till onion is transparent. 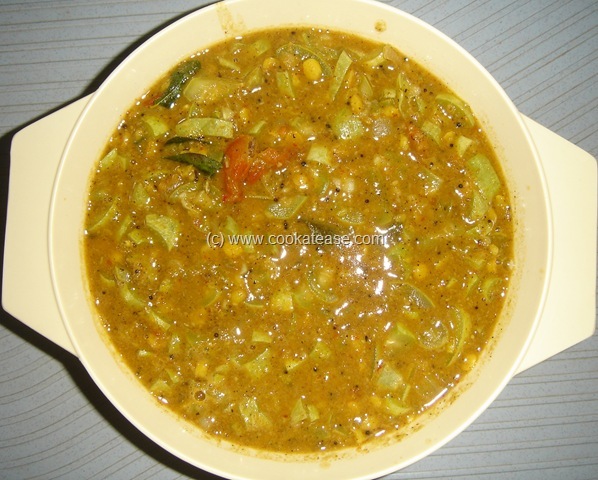 Now add chopped snake gourd, salt, pinch of turmeric powder and stir for 2 minutes; add half cup water, cover and cook in low flame till snake gourd becomes soft; add wet ground masala, boiled dal and mix well; cook for 3 to 5 minutes. 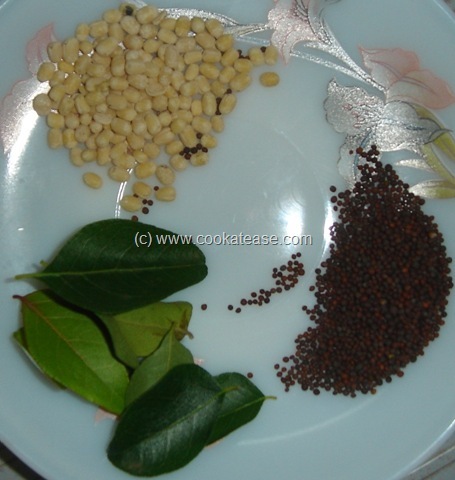 Now Snake Gourd (Pudalankai) and Bengal Gram Kootu is ready. 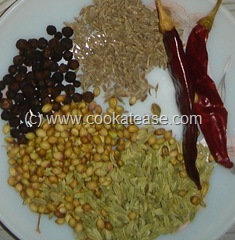 Serve hot with Rice or Chappati. In chopped snake gourd add little turmeric powder, pinch of salt, mix well and keep for 10 minutes minimum. Drain accumulated water. 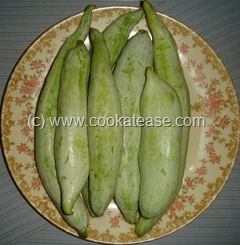 This helps to cook snake gourd faster. 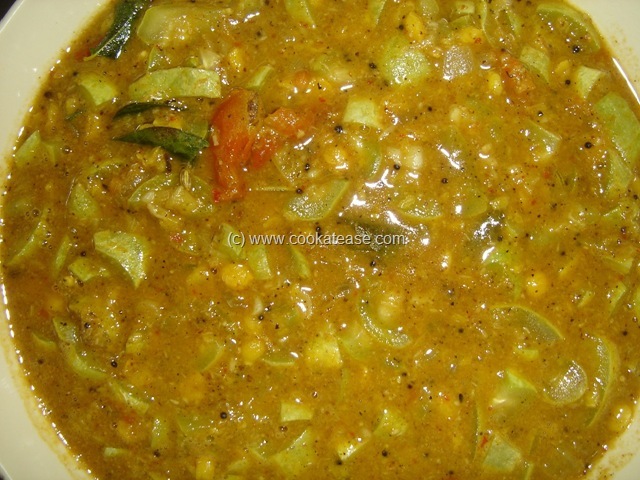 Delicious Kootu…i do the same way too..